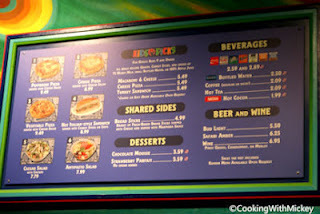 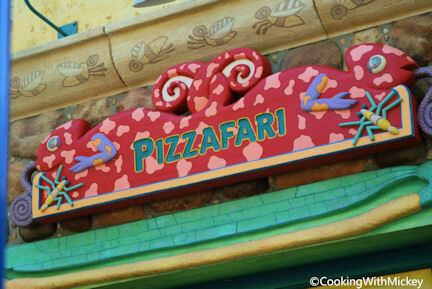 Pizzafari located in Discovery Island, offers guests pizzas, salads and sandwiches in a lively restaurant. Take a seat in one of the brightly colored dining rooms. Menu Items: Pepperoni, cheese and vegtable pizza; hot Italian-style sandwich; Caesar salad and antipasto salad.